A-1 Scuba is proud to be recognized as one of the top repair facilities in the country. 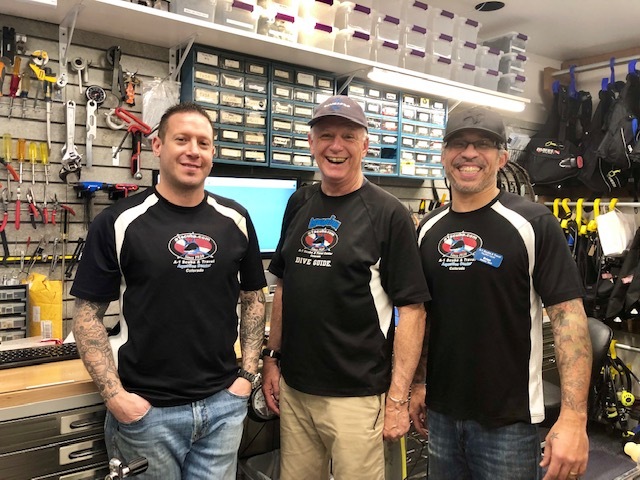 Our unmatched service and repair department utilizes state-of-the-art testing equipment and the latest in specialty tools to keep your equipment functioning flawlessly. We use ONLY oxygen-compatible cleaning solutions and lubricants in our test facilities. Our award-winning department can service most major brands. Don’t trust your life support equipment maintenance to anyone else! We are confident our quality and service will meet and exceed all of your expectations. To help ensure total satisfaction we invite you to use a FREE pool practice after your gear is finished being serviced. To set up your session, just call ahead and remember to bring in your certification card. This assures the best possible adjustment for any regulator which leads to easier breathing and longer dives. We can simulate required airflow at various depths beyond 150 ft. It also allows us to Flow check your regulator on High, Mid and Low tank pressure at the same time. The combination of a special solution and Ultra Sonic Waves allow us to remove all corrosion and help extend the life of your regulator. This procedure also removes excess lubrication residue such as silicone grease that can be dangerous when using Enriched Air Nitrox. This instrument allows us to test your depth gauge, computer or air integrated computer for depth accuracy and other features such as Ascent alarm, Decompression modes and No Fly times. 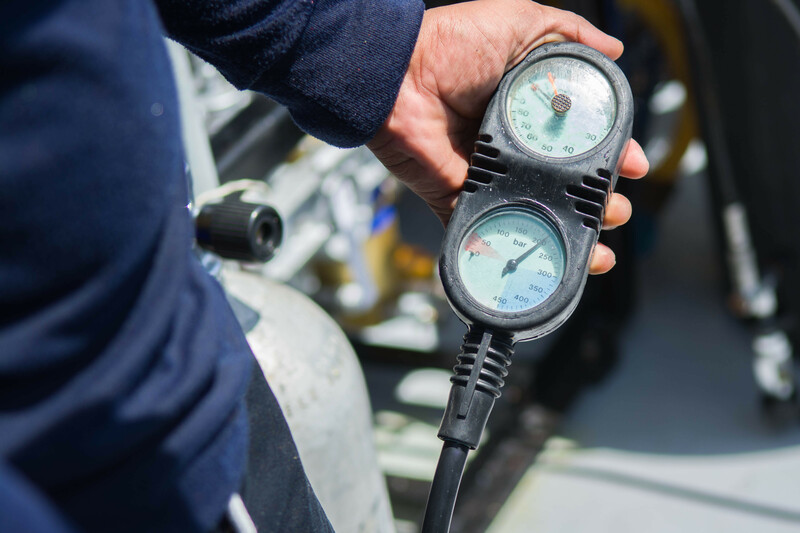 Before you dive, come in for an equipment inspection and evaluation. Let us help educate you! Need Your Equipment Serviced And Live Out Of Town? Don’t have time to bring it to us? Just send us your equipment, we’ll service it and gladly ship it back to you when it’s completed. All you need to do is fill out this form and send us your equipment! Properly working equipment increases your enjoyment, safety, and… bottom time. Do You Know What The Inside Of Your Reg Looks Like? Sand commonly found inside regulator second stage. Corroded internal components caused by water intrusion (flooding). The A-1 Safety Inspection Program S.I.P. You just had all of your equipment serviced – you went on a trip and had the time of your life – you return home and now your equipment is dirty, salty and possibly out of adjustment. Does this sound familiar? Our Safety Inspection Program is just the answer! 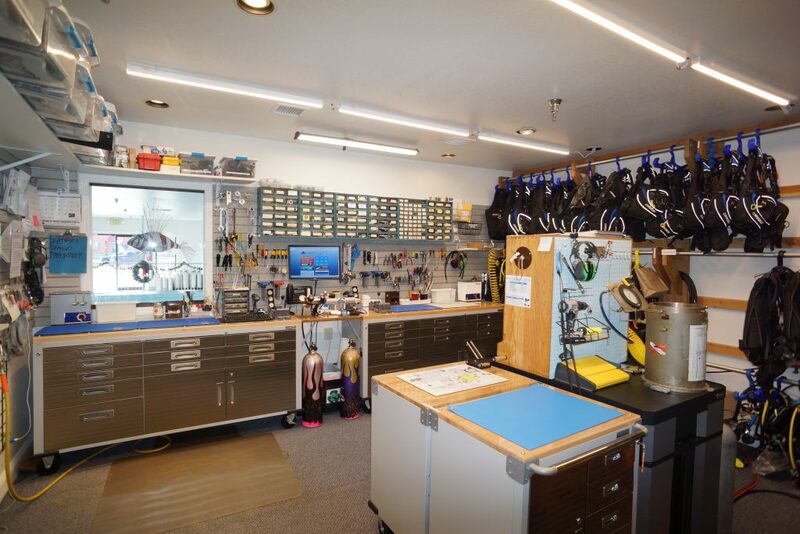 We will completely rinse and clean ALL of your diving equipment, flush the bladder and clean the valves of your BC, as well as Flowbench Test and adjust your regulator. All you need to do is drop off your entire bag of equipment, within six months of the annual service, and we’ll do the rest!!! It also includes a FREE pool workout! You can immediately try it out in our indoor pool for FREE! What is inside my dive equipment? A Lot! These images are for visual reference only and are not intended to be used as a teaching or repair guide. They generally represent various stages and components typically used in scuba diving.